A group of 17 high school kids from High Tech High in San Diego came down to Nicaragua with Surf With Amigas (formerly Suave Dulce) for the trip of a lifetime. They learned to surf, did yoga, went horseback riding on the beach, and boarded down an active volcano. They learned to make tortillas and jewelry while interacting with the local community. All that was fun and exciting, but the real reason for their trip was to give back by helping to build a new classroom for 4th, 5th, and 6 graders. 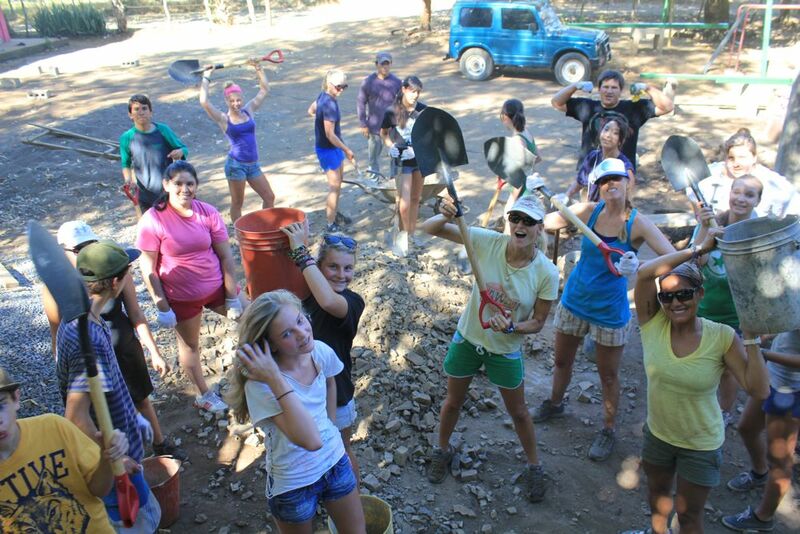 They painted, dug trenches, and learned to mix cement. Click “play” above to watch their story. This entry was posted in Giving Back, Nicaragua and tagged give back, high school, high tech hich, nicaragua, surf with holly beck, volunteer. Bookmark the permalink.